May I say I how was very impressed with the professional approach and help given to me by Keith in the purchase of my new car and I would like to say thank you . Looking for a new Mazda 6? Browse our extensive range of new Mazda 6 cars for sale and find our latest deals at your local Bristol Street Motors Mazda dealership. 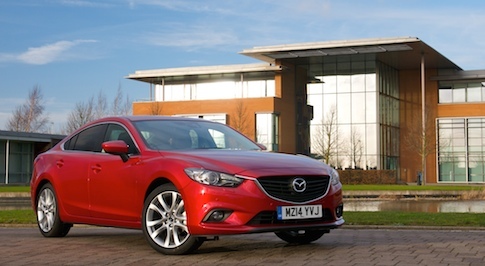 The Mazda 6 is a superb business and family saloon. Having recently undergone a facelift, it is one of the most striking cars on the market with gorgeous angled headlines and dual exhaust tips on every model at the rear. As with all Mazda cars, the 6 is one of the best-equipped as standard in its class. Even the lowest trim, SE, gets cruise control and MP3 / iPod connectivity as well as Bluetooth. Available with two engines � a 2.0-litre petrol or a 2.0-litre turbo-diesel, offering business and private customers excellent fuel economy. Visit your local Bristol Street Motors dealership to see the Mazda 6 in person and see how it fits into your personal and business life!